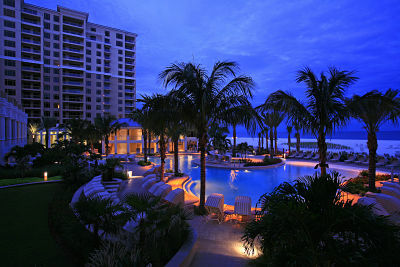 A night view of the pool at Sandpearl Resort. Guests often linger around a fire pit on the beach where they can enjoy making S’mores. 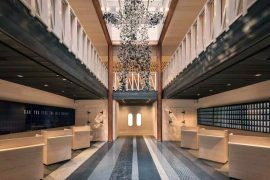 Sandpearl Resort is a four-diamond luxury resort in Clearwater Beach with gorgeous wide beaches, a lovely spa and a warm welcome accompanied by a glass of Champagne at check-in. 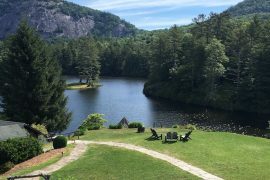 Guests can enjoy lounging in Adirondack chairs and making S’mores over the fire pit. Close by is the Clearwater Marine Aquarium, where we met Winter, whose story inspired the Dolphin Tale movies. We explored the town of Clearwater on two wheels when we set off on the 7.5-mile Segway Adventure along the boardwalk, over the Clearwater Memorial Causeway. 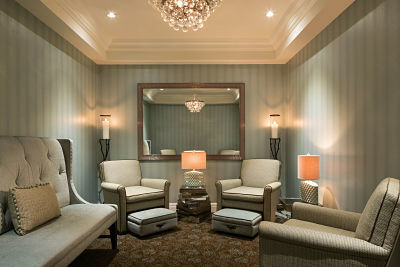 The relaxation room at the spa at The Resort at Longboat Key Club, where I enjoyed an excellent massage. I hadn’t picked up a tennis racquet since the 20th century, but the pros at The Resort at Longboat Key Club near Sarasota, Florida had me back in the swing of things in no time. 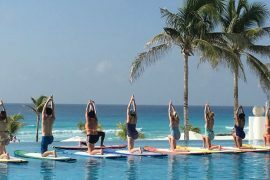 Healthy travel is a particular focus at this four-diamond resort, which offers wellness packages that include a nutritional consultation, health-focused meals, spa treatments, and classes outdoors and in the newly renovated Mind & Motion Studio. Guests can also enjoy exercising while playing any of the 45 holes of championship golf, strolling along the beach, or exploring the many shops and restaurants of charming nearby St. Armands Circle in Sarasota.